To some couples, a day of paintball might not seem like the most appropriate way to spend Valentine’s Day but those who have tried it can tell you otherwise. To put it simply, paintball is perfectly suited to almost any relationship dynamic – whether you are the kind of ‘team player’ couple that likes to work together or if you and your partner are forever at each other’s throats, paintball is the perfect activity for you and your other half this Valentine’s Day! Like most sports, paintball can be played cooperatively or competitively. However, unlike most sports, with paintball there’s a much greater risk of being shot in the groin! At Delta Force Paintball, we take pride in our ability to go to great lengths to customize a special day of paintball suited to your exact wants and needs. 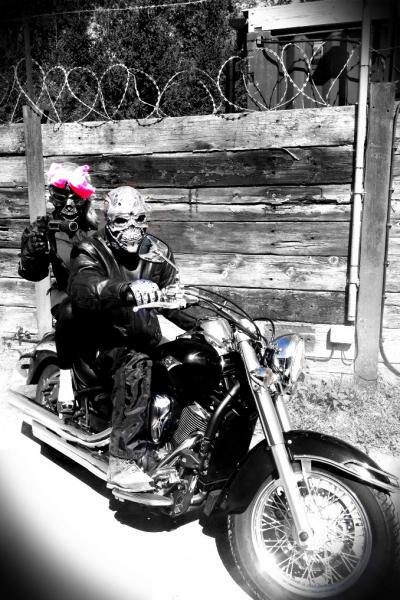 Even if your exact needs include fighting against each other through a post-apocalyptic London scenario wearing banana costumes and ballerina tutus, almost nothing is beyond judgement! Paintballing on Valentine’s Day is also the perfect way to finally prove who wears the trousers or to work out some of the kinks in your relationship. Some of our veteran centre managers and marshalling staff have seen relationships made or broken under the pressure of paintball. 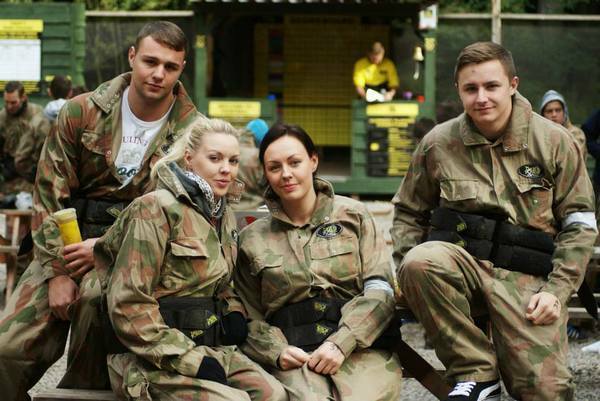 To those who have experienced it, paintball with your significant other is a greater relationship test than navigating a motorway together or even assembling flat-pack furniture! It’s also a great way to bring yourselves closer together and nothing makes you learn how to cope with important decisions under intense pressure like paintballing. Flowers, chocolates and candlelit meals are all very well and good but this Valentine’s Day, why not be that couple that tries something extraordinary? 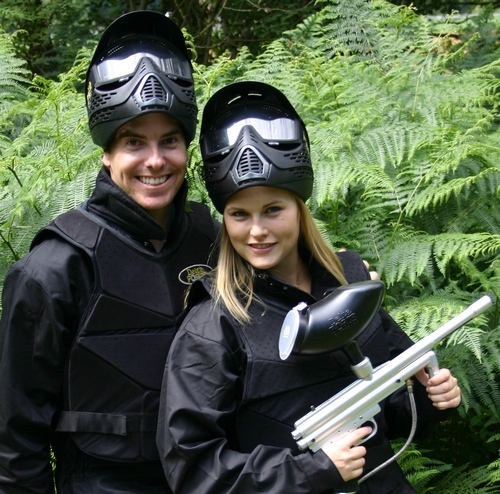 Show off your adventurous side and get your partner a paintball gift voucher this Valentine’s Day – all vouchers can be tailored to suit your exact budget and can be purchased by calling our booking office on 0203 869 9301 Our experienced events team are on standby now waiting for your call.